This paper plate fingerprint flower craft looks great on display and is lots of fun to make! 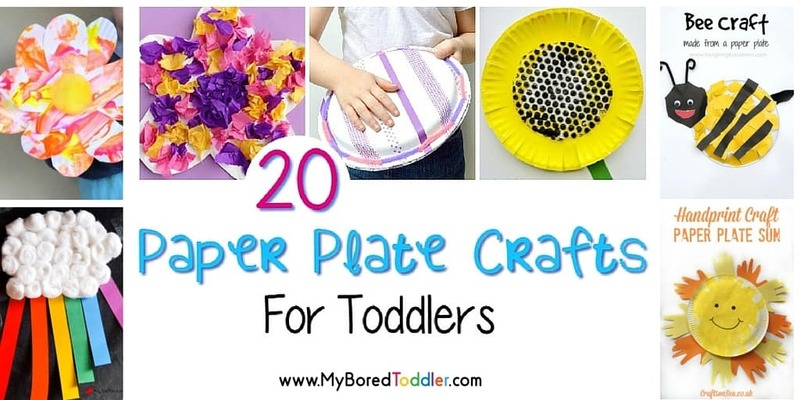 We’ve been enjoying the signs of spring that are popping up around our neighborhood right now and this is a great spring activity for toddlers and a fun paper plate craft. My youngest has become rather fascinated with the flowers blooming in our yard. He loves to touch and smell the blossoms whenever we play outside. When I came across flower shaped paper plates at a craft store, I knew I needed to create a project for him using them. I came up with these simple paper plate & fingerprint flowers. This project requires a small amount of adult set up ahead of time. 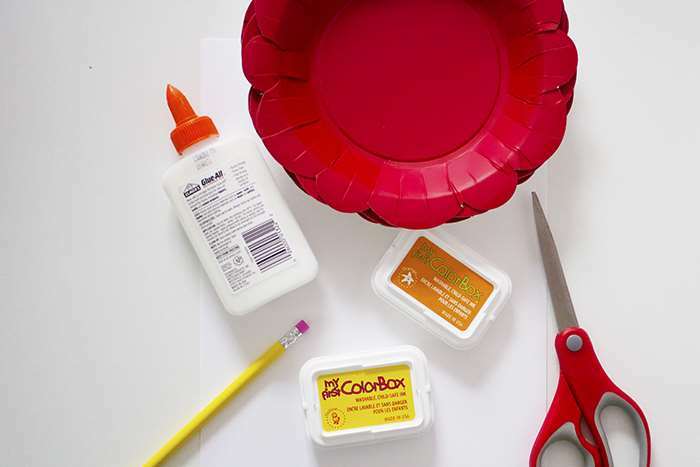 Younger toddlers will need adults to use scissors midway through the craft. 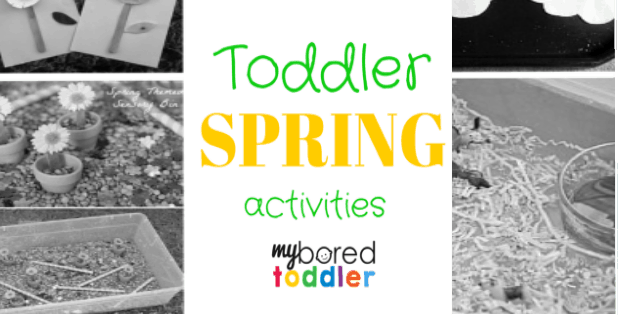 For older toddlers, it presents a perfect opportunity to practice early tracing and scissor skills. 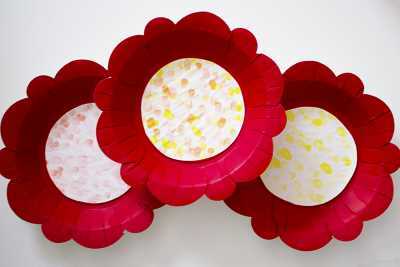 Flower shaped paper plates or bowls. 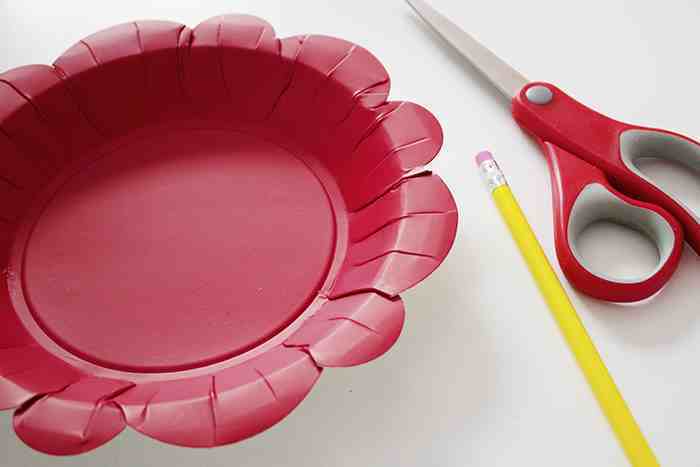 (You could also cut regular paper plates/bowls into a flower shape). You will need 1 dish for each flower you would like to make, plus 1 extra as a template. 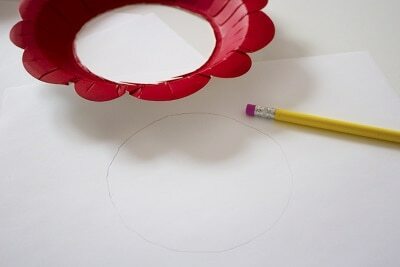 Cut the bottom circle from the center of 1 paper plate. 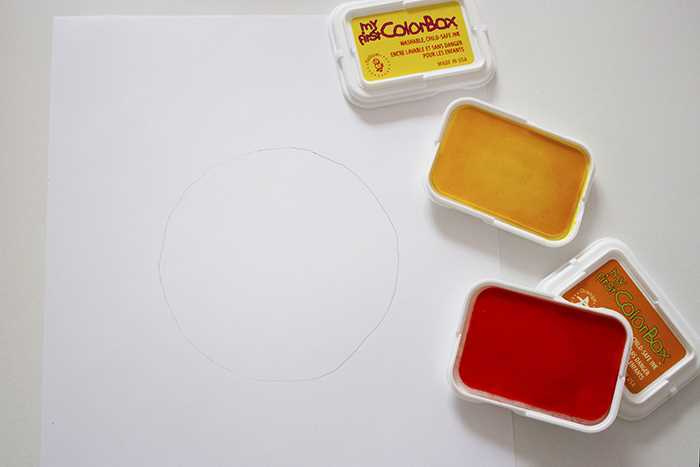 This will create a circle template. Trace the circle in pencil on your paper. Trace 1 circle for each flower you plan to create. 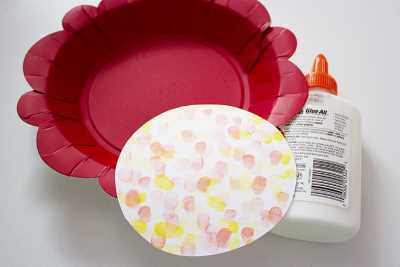 Using the stamp pads, have your toddler decorate the circles with fingerprints. These will be the centers of the flowers. 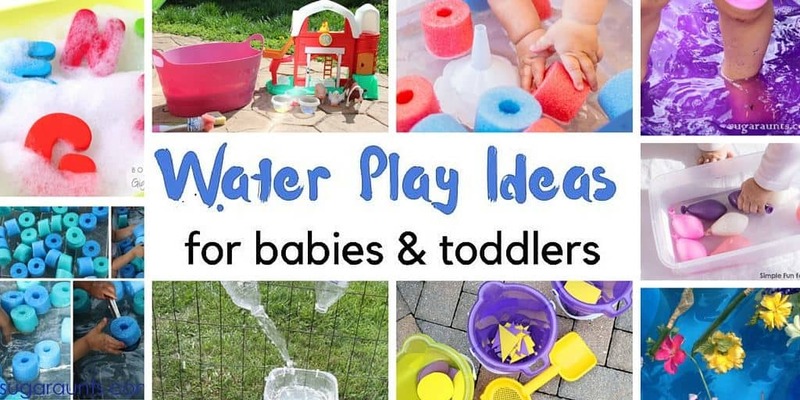 Encourage your toddler to experiment during this step. What happens when they mix colors? Can they create simple patterns? Do they notice the size differences when they use different fingertips? There is no ‘right’ or ‘wrong’ outcome for the flower centers, so they can be as colorful as your child would like. It’s a fun opportunity for them to get their hands just a little messy, without breaking out the fingerpaints! 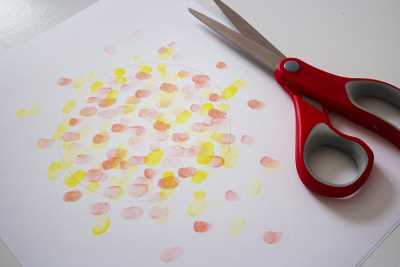 Cut each decorated circle from the sheet of paper. 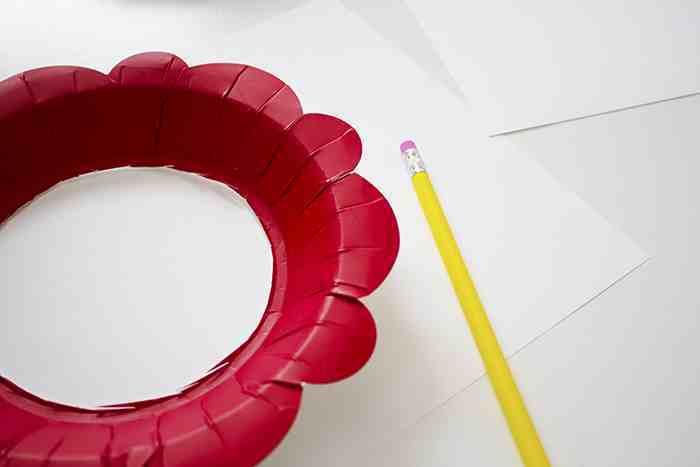 Use glue to attach the center circle to each flower shaped plate or bowl. We were so pleased with how bright and vibrant our finished flowers are. The shape of the paper plate makes the flowers three dimensional, which is a lot of fun. I used a little bit of tape to hang ours from our play room wall. They add so much life and personality to our plain white wall. These fingerprint flowers would make a great project for May Day, as well as a simple craft to give to moms or grandmas on Mother’s Day.